In addition to #NaBloPoMo I also signed up for Photography 101 this month. All or nothing, right? The photo theme of the day is ‘home’. That’s a word that means different things to different people and which has meant very different things to me at different times. I’ve lived in Arizona most of my life, and a few years in California as well. I felt at home in those places, or I thought I did. I was perfectly fine with either one of them really. But then I moved to Florida and I found that home isn’t just where the heart is as so many people say. Home is the place that when you get there you find you don’t want to leave. I’ve only been here 8 years but after the first year I was already hooked. Visiting other places is fun and I’d love to go back and visit the desert and the mountains, but Florida is home to me. Fun topic & great pics! Enjoy your busy & creative month! 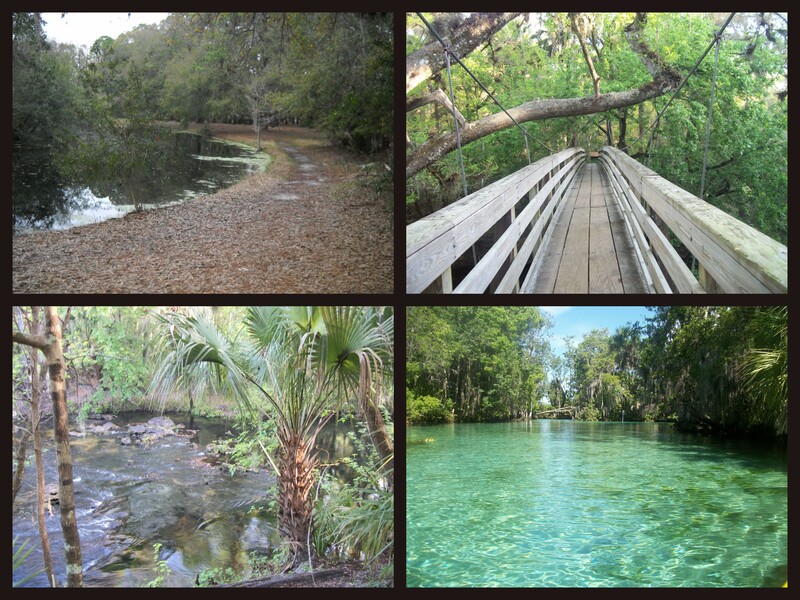 Looks like some of the pics are some of my favorite Florida spots! Which spring is that pictured bottom right? That’s 3 Sister’s Springs. It’s absolutely beautiful up there! And your home looks beautiful 🙂 About cheating – I am also taking party in this course and I hope to cheat as much as possible as I work a lot and the four hours of day I have left is not enough to come up with a fresh photo – especially with days getting so short here. I grew up in Florida, moved to Southern California for fifteen years and just recently returned to Florida. I knew I missed it, but didn’t realize how much until I moved back. I sometimes miss the very different feel of living in San Diego, but Florida has a completely different but very cool vibe.